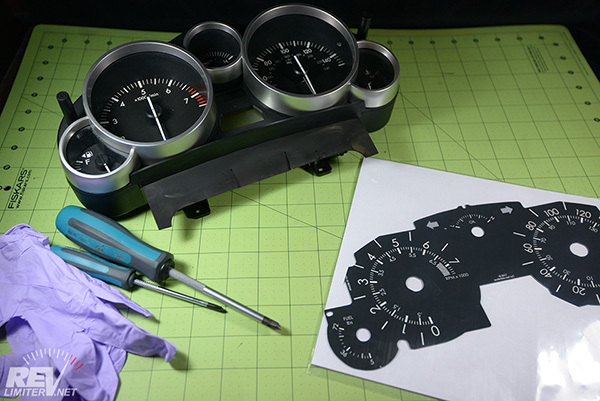 revlimiter Gauges (Version Warbird) - waiting to be put in service. 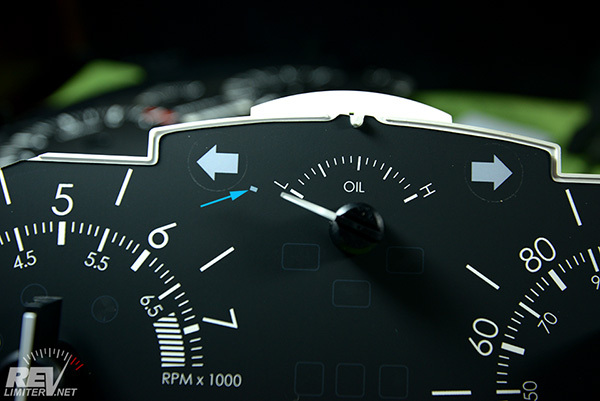 A set of genuine revlimiter Gauges. - You can buy them right here on this site! 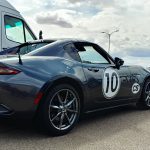 Check out the revlimiter.net Store. 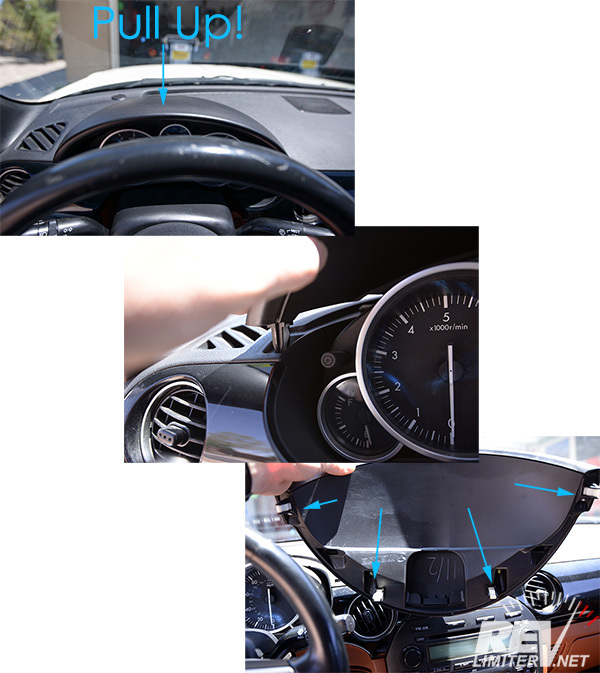 Other gauges may be of lesser quality or not compatible with the steps below. Don't settle for anything but the best! Powder-free gloves - These come with your gauges. Because you'll never be able to wipe off finger prints from most gauges, including your old stock ones. 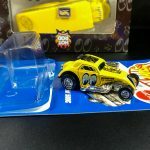 Dry dust cloth - This comes with your gauges. It's normal for gauges to become a bit dusty while you work on them. This cloth gets them looking good before sealing up your cluster. Paper towels - always helpful. 2 Phillips screwdrivers, one fine (#1) and one regular (#2). If you've got JIS drivers, they work even better. I got a smudge on my gauge. Can I wipe it off with rubbing alcohol? With Gen3 revlimiter Gauges - sorta. I'd not use rubbing alcohol, but a damp rag/microfiber/paper towel is fine. 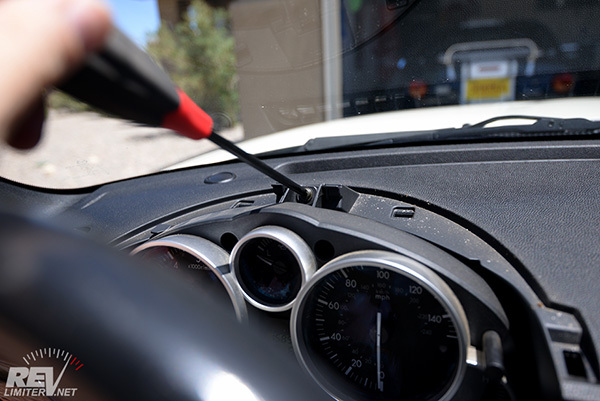 Gen3 gauges are waterproof and easy to clean up. You can also remove dust from them with blue painters tape. Where can I get the gauges in these pix??? I sell them here on this site! 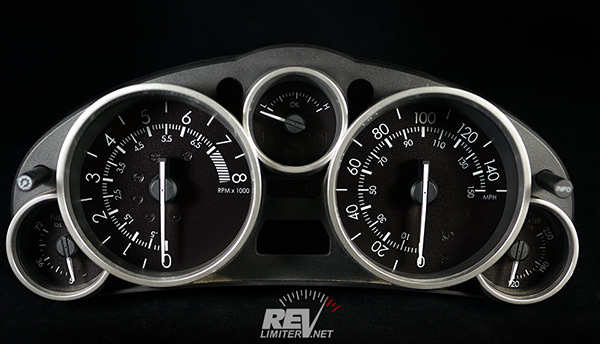 Check out the revlimiter.net Store. NA and NB gauges have funky non-stock zero positions. Why can't my NC have that? The NC cluster has a jillion warning and indicator lights in the center of the gauge faces. The guts of the gauge include thick plastic to pipe light to the gauge sheet. Also, the tach has guts for the automatic transmission lights behind it regardless of what your engine is shifting with. Because of this, there's no way to rotate the NC gauge to a non-stock zero position and still have it light up. I want to change my NC lighting color. Can these gauges do it? No. The NC uses amber LEDs soldered to the circuit board to create the amber/red lighting. A gauge face cannot change the tint of this lighting color. The only way to change it is to very carefully unsolder and resolder the multiple tiny LEDs to the board. There's a dozen or more of them. My own soldering skills are decent, but not up to this delicate task. 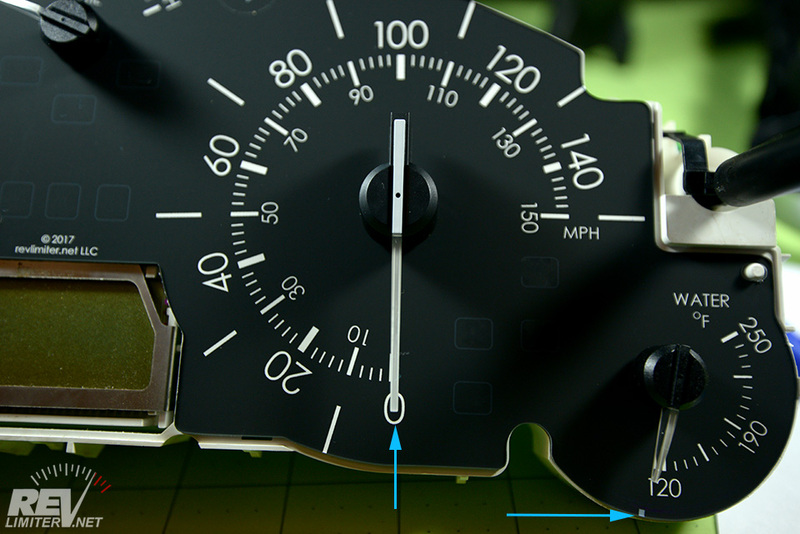 How do I know the tach / speed/ etc is accurate after doing this? The five NC gauges are all small stepper motors that self zero. 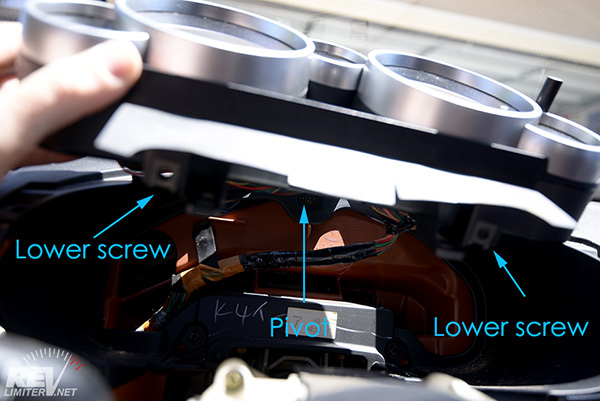 When you apply power to the board, the gauge cluster recalibrates itself and makes note of where zero is. 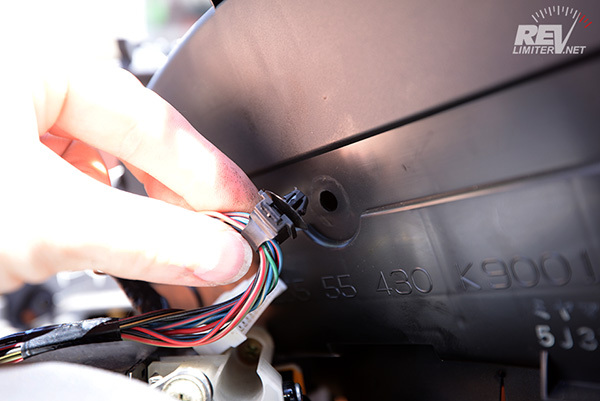 Because of this, it's very very easy to install a new gauge face and have no loss of gauge accuracy. The only possible problem is accidentally removing the metal center pin that the gauge needle plugs into. 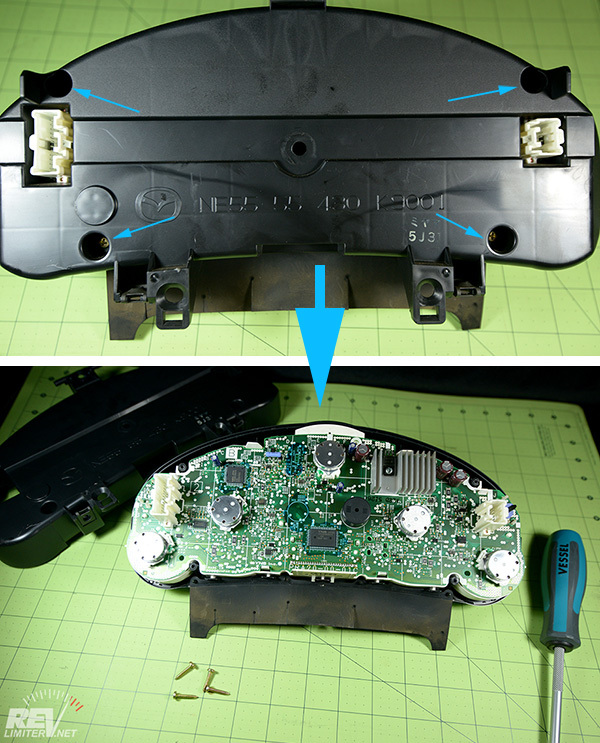 Doing this will result in a stepper motor that's not working as it should. There's info on fixing that below. 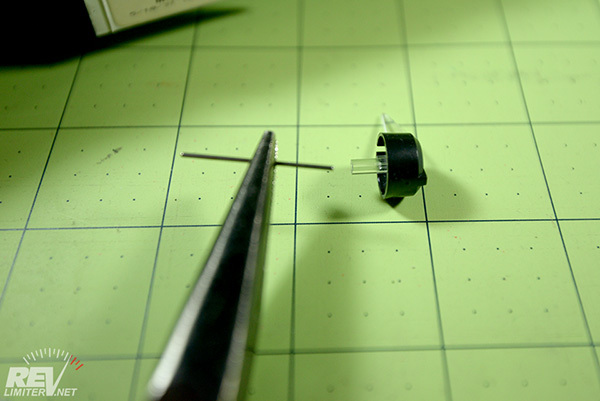 Often soldering in a new stepper motor (which is not hard) is the best solution. Will this make my odometer read wrong? No. The odometer is not affected by this job. Removing and reinstalling will not change it. But your trip odometer will be reset. Some folks use that to track their mileage (including me) and this fact is nice to know before you put the cluster back in only to see 0 on the trip meter. This looks scary. Can you do the install? Of course! I have an installation service available. Please click this link and read about the NC/ND installation. Spoiler: I do all of the stuff below. And if a stepper motor breaks during the install, I replace it. You get a fully working cluster back in your hands, ready to be reinstalled. Some other shop sent me to this page. Is it cool if I use the info here? Well, sure! 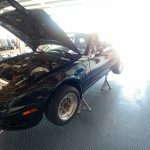 The thing I enjoy most is helping out my fellow Miata enthusiast. However, I'd greatly appreciate it if you would drop me a note and tell me about these other manufacturers who are ripping off my hard work. First up is removing the gauge hood. Unlike the NA which is super brittle and the NB which requires some work to get it out, the NC hood just pulls off. Grab it from the front above the gauges and just yank it out. The tabs are very strong and the plastic is rather flexy. It shouldn't break easily. The lower steering column cover also just pulls off. It's a bit more delicate, so don't use Hulk force. Just pull the front edge down. The back edge is hinged. The whole thing can be placed to the side. There are three screws to be removed from underneath the column cover. Two near the front edge and one in the back near the center. Check a couple pix down for a pic of the locations. Once the screws are removed, you can just unsnap the top half of the column cover and remove it. Then remove the bottom half. You'll need to work it around the key socket. 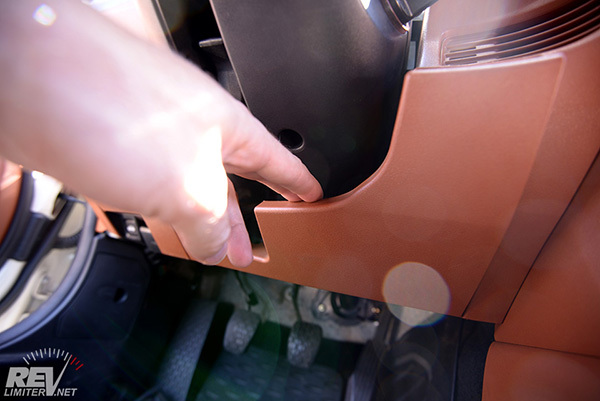 You'll also want to release the steering column tilt arm. 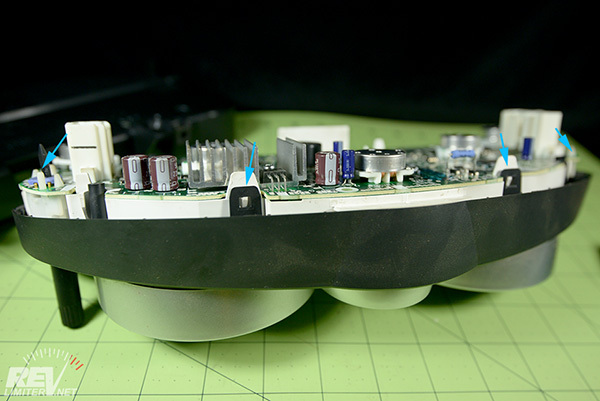 The cluster is held in by three screws. The top center is easy to find. 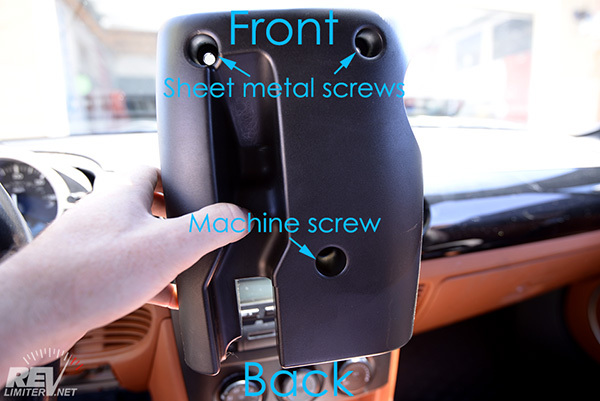 The lower screws are much harder to figure out your first time. They're on the edges of the cluster as seen here. You need to unplug both of these connectors and snap that center retainer post free. 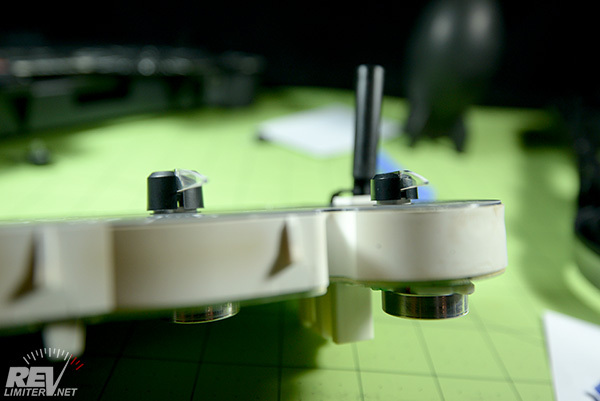 The two connectors come off easily. The hard part will probably be this retainer post. Just yank it directly back. It will come free. Then take your cluster inside. 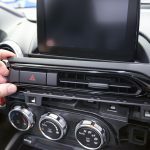 Take the cluster out of the car and to a comfortable, dust-free work area. Put your gloves on now. Your Gen3 gauges can have grease wiped off of them, but it takes a really long time. It's far easier to wear the gloves for your whole install. 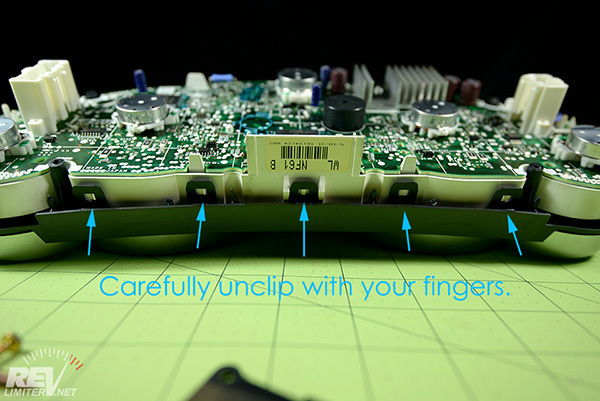 You'll need a #1 screwdriver (JIS preferred) to remove the four screws on the back of the cluster. Set the screws, plastic back, and rubber skirt aside for later install. The NC cluster has a ton of these tabs holding the front bezel in place. A ton. You'll curse while removing them. Pop all of them free with one hand while applying gentle pressure to the back of the cluster to separate the two pieces. Slowly go around the whole cluster to pull the bezel free. Tons of little tabs. Go slow and you'll get them all free. THIS is the hard part of the whole install. Give yourself plenty of time to get these needles off. Patience is required. The more gently you can remove these needles, the higher the chances you'll have of not needing to repair your stepper motors later. 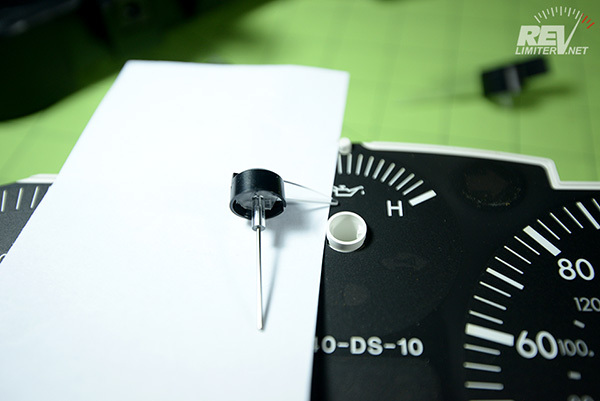 To separate the needle from the stepper motor, the best way is to very gently force it toward and past the low-end stop. 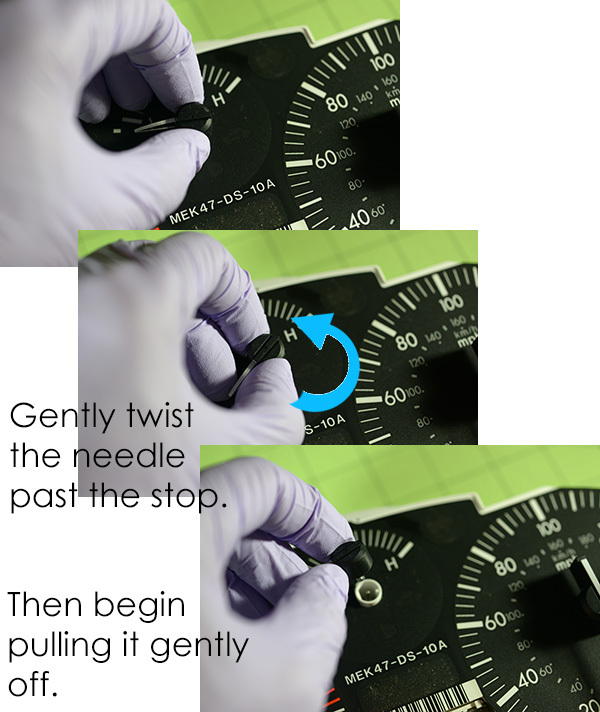 You want to grab the needle by the center - NOT by the needle itself - and gently pressure it past that zero point to separate the metal shaft from the needle. Once you get a bit of movement in that direction and you feel the needle nudge free, start applying gentle pressure upwards while still twisting it past that zero point. Did I say "gentle" enough? Force will cause the metal shaft to come out with the needle itself. 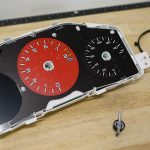 If this happens, you'll need to repair the stepper motor or solder in a new one. Don't be afraid to spin the needles backwards as many times as you'd like. 20-30 revolutions isn't out of the question. The more you spin it, the easier it will be to remove each needle. DO NOT USE PRY TOOLS TO REMOVE YOUR NEEDLES. This method will usually cause the metal shaft to come out with the needle itself. 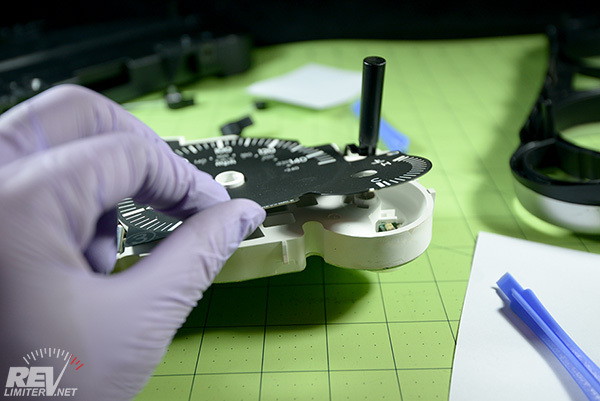 Following the above twist-off method will give you a far better chance of not needing to repair a stepper motor. This warning is mainly for NA/NB guys who have installed my gauges before. Do not follow the NA pry tool method. Videos are sometimes helpful, so here's one dealing with removing the ND needles by spinning them off. The NC needle removal method is exactly the same, so please watch before removing your needles. The metal shaft came out. What now? The NC gauges are small stepper motors. The needle itself is driven by a gear that's offset from the main gear. When you pull out the metal shaft, the two gears become unmeshed. This doesn't necessarily mean the stepper motor is broken. You can get the gears meshed up again, but it's a bit of work. If this happens, do not panic. Realize you're in for a lot more work to repair it, but panic will not help you. Set the needle and metal shaft aside. Do not try to plug it back into the gauge yet. Separate the shaft and the needle using some needle nose pliers. Using the pliers, re-insert the shaft into the gauge. While inserting it, rotate the shaft clockwise about half a turn. That will enable the two gears to re-mesh correctly. Maybe. You'll be able to feel if the gears are meshed correctly. If the needle spins easily like the others, it is repaired. If you can feel resistance, the gears are likely not meshed correctly. Note the level of the shaft. It should be at the same level as the remaining needle shafts that did not come out with the needle. 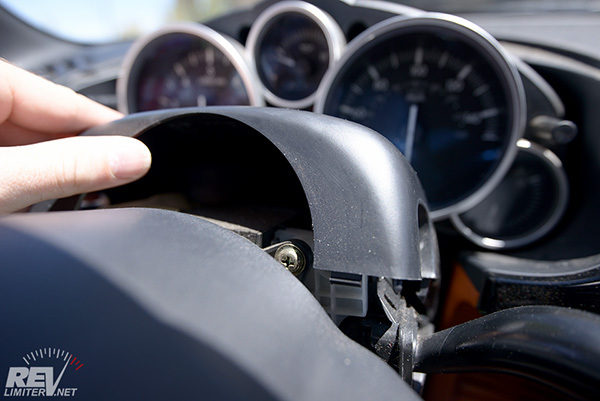 Gently place the needle back onto the shaft and plug the gauge cluster into power. 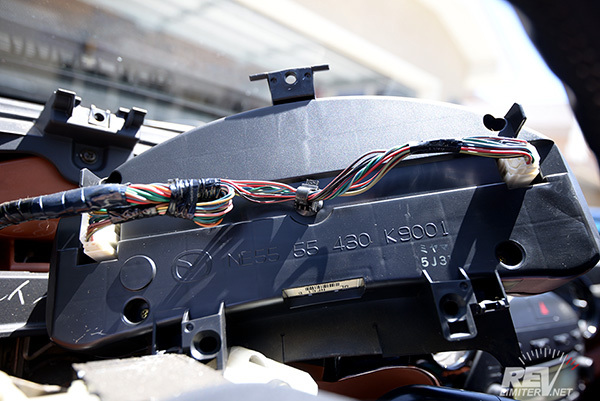 That's the small connector on the tach side of the cluster, not the large connector on the other side. When the cluster sees power, it will perform a calibration. If your needle moves in a jumpy manner, the gears are not meshed correctly. So yank everything out and try again. If you get fed up with trying to re-mesh the gears, you can unsolder the damaged stepper motor and solder in a new one. Any motor from any NC cluster should work. If there's a need, I'll photograph these steps later. 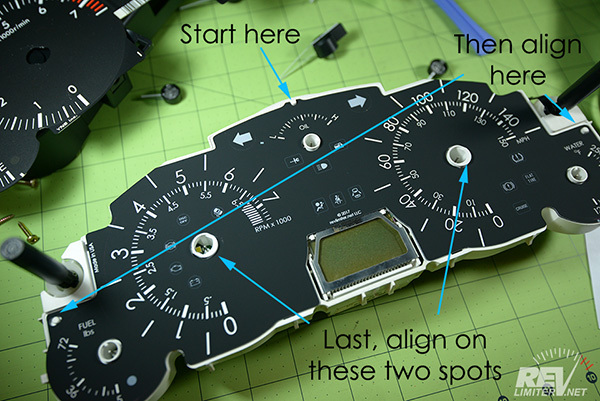 Once all five of the needles are off, you can peel the gauge face sheet away from the cluster. It is held in by the center of each gauge. Just pop it free gently. See the pry tools in this shot? DO NOT USE THEM. Just twist off the needles very gently. Set the stock face aside. If you think you might want to install it in the future, place it in the package your revlimiter Gauges came in. It's very easy to line up your new face. I like to start with that top center post. Then I make sure the left and right posts are lined up. Then I pop the face on over the tach and speed motors. Last, I pop on the fuel and temp holes. Make sure the face lies flat against the cluster when you're done. Re-check those corner posts to make sure an edge isn't being held up by one. You're in the home stretch. Now you need to calibrate each needle. There's a small tick mark for each of the three small gauges. That's your zero calibration point. Re-install one of the needles VERY GENTLY in the middle of the gauge range so that the needle is just barely on the shaft. Then (again, gently) rotate it toward that zero point. You will feel when the motor stops moving and hits the inner zero point. That's good. 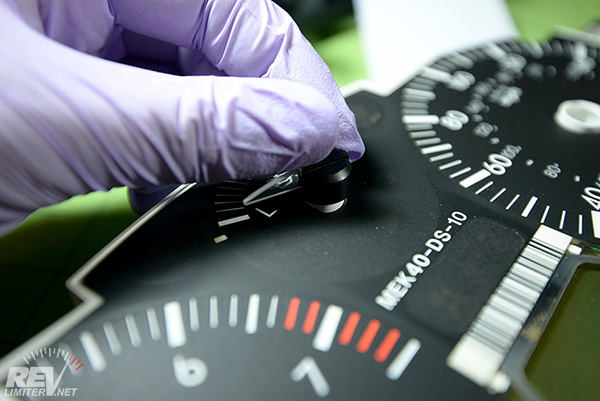 Keep rotating the needle itself until it is pointing at that zero calibration mark. If you go a bit past the zero calibration, that's fine. Just spin the needle all the way around in the backwards direction and try again. 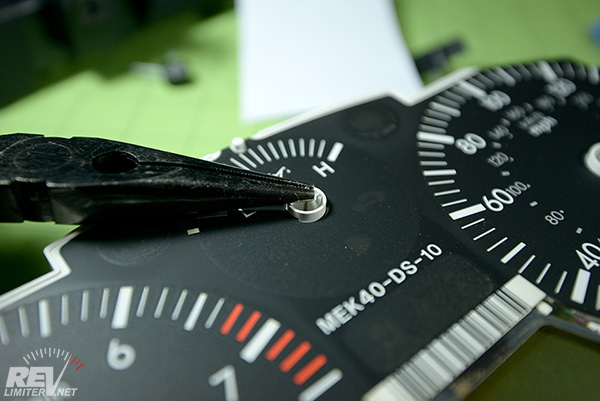 When you're happy with the calibration, press the needle onto the base more firmly. See the next photo. 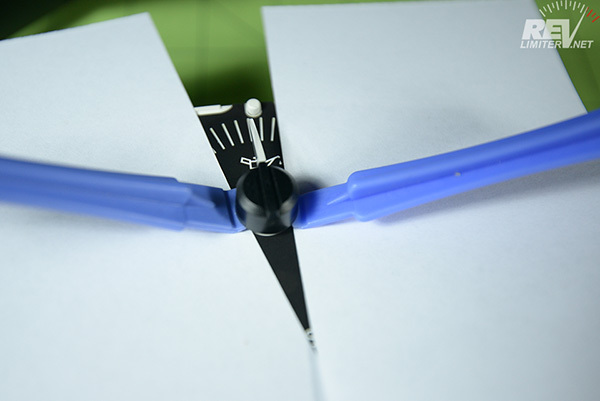 When you're re-installing the needles, make sure you leave some space between the gauge face and the needle base. If the needle base touches the face, that gauge will not move at all. You need space between the two. Now calibrate and install the other four needles. The tach and speedometer zero at their own zero point. There's no little zero calibration mark off the scale. The fuel and temp have a small zero calibration mark just like the oil gauge does. Note that the water temp gauge rotates the opposite way of the rest. And that's it!!! 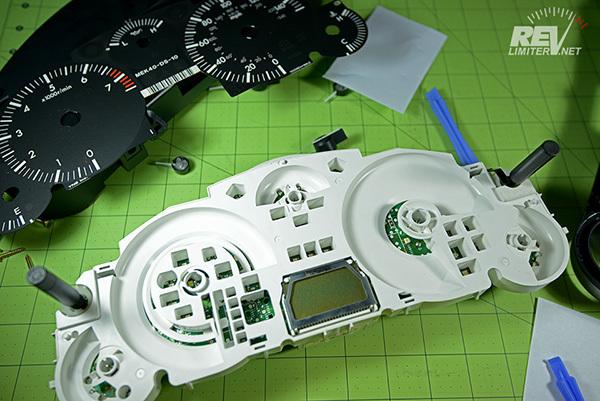 Reinstall the bezel (now is a great time to clean the glass if you need), the rubber skirt, and the plastic clamshell on the back of the cluster. Take it out to the car and plug it in.